Named for a post office once housed within its walls, Galveston grew in several stages according to the needs of its occupants. A two-story, antebellum, side-gable I-house with restrained Greek Revival detailing was enlarged in the late nineteenth century when a one-story gable-roofed ell was constructed for the post office and joined to the main block by a breezeway. At about the same time, a decorative central gable and a wrap-around porch were added. In the twentieth century, the breezeway was enclosed, and the house was expanded by a shed addition to the original ell and a new gable-roofed kitchen wing. Galveston was once part of the thousand-acre Lipscombe plantation located between the Eno and Little Rivers. 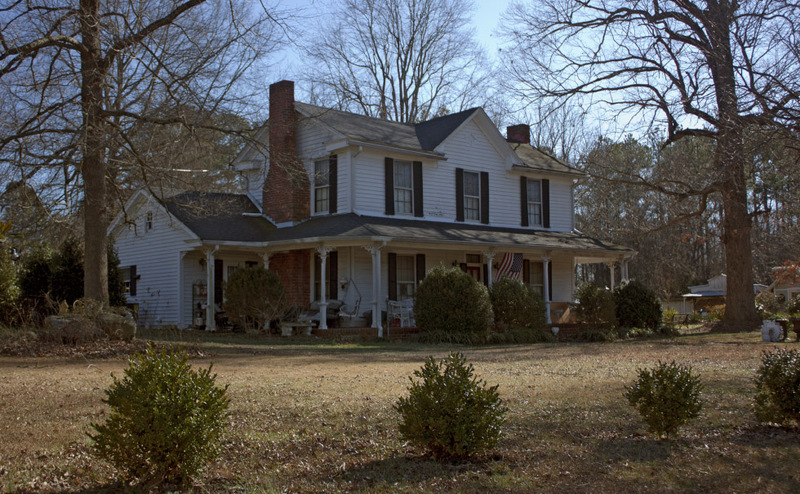 When Will Lipscombe and Rebecca Lipscombe Russell inherited the plantation and several houses from their father, John D. Lipscombe, they sold this dwelling along with 213 acres of land to Sarah Whitledge Cole and Mary W. Holeman in 1878. 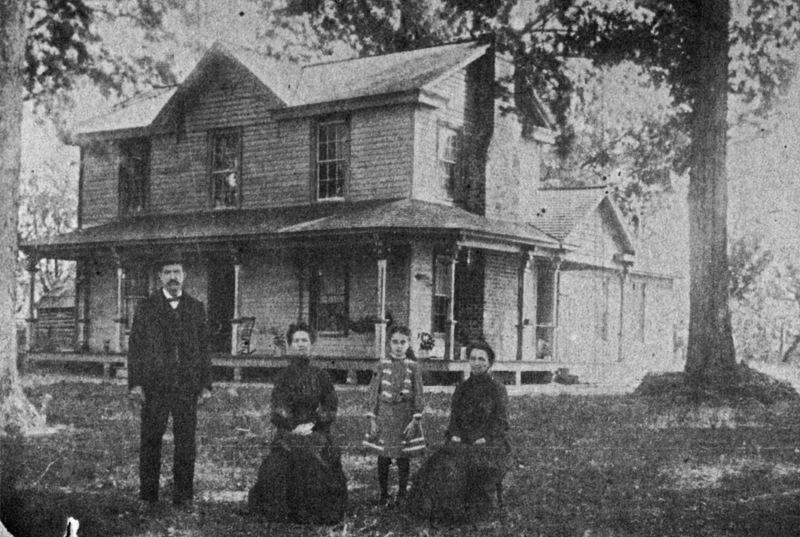 Two years later, Mrs. Cole bought out Mrs. Holeman’s ownership, and the house has subsequently remained with Mrs. Cole’s descendants though much of the land has been sold. Her great grandson, Edward E. Cooke, former chairman of the Durham County Historic Properties Commission, is the current owner. The Galveston Post Office was established in December 1888, with Mrs. Cole’s son, William, as its first postmaster. Since the post office was located in what was then called the “Mt. Sylvan” settlement, the name “Sylvan” was applied for. The postmaster rejected that name, stating in his letter that a “Sylva” Post Office already existed in North Carolina. The name, “Galveston,” was approved instead, but its origins have been lost. After William Cole, George Flintom became postmaster in 1889, and Henry Pope in 1899. Pope moved the Galveston Post Office to his own farm nearby and it ceased operations in 1902.